MX-5 Miata Racing Beat Race Header (MT & AT Models) - Upgrading your exhaust system with a high efficiency exhaust header is a time-proven method to improve the gas flow from your engine. Although modern exhaust manifolds have improved dramatically over the years, and may in fact resemble a traditional header in shape, testing has proven that performance improvements can be obtained with continued refinement of the exhaust manifold design. While the automotive aftermarket might we focusing their efforts solely on performance improvements, the OE manufacturers must combine performance, emissions, sound level limitations, and extended durability factors in their designs. While these parameters are also of concern to the aftermarket, our primary focus directed to maximizing performance. Developed in-house by Racing Beat, this header underwent several on-chassis dyno test tuning sessions to determine specific tubing lengths, collector configurations, and optimum tubing positions. For dyno result information, visit this link (PDF). 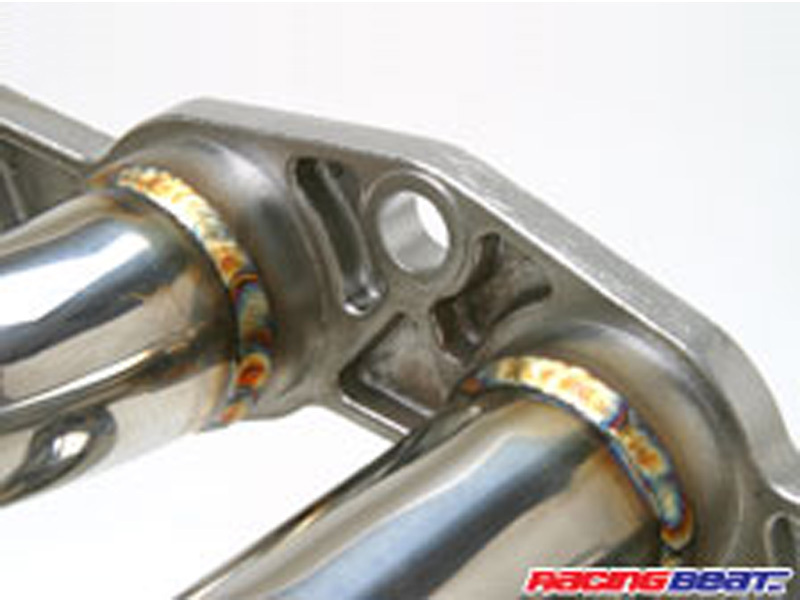 For race applications, combine the Racing Beat header with a Race Connecting Pipe (with presilencer unit) for additional performance. For dyno result information for the header and race connecting pipe section, visit this link (PDF). Each header kit comes complete with detailed installation instructions and a plug-in OEM style electrical extension wire for the repositioning of the primary oxygen sensor. 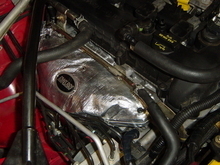 The stock engine-to-header gasket can be reused if there are no visible signs of distress or wear. (Mazda utilizes a heavy-duty metal gasket, which we have found can be reused several times.) We strongly recommend the TDR Insulated Heat Shield to keep heat off the alternator and the underhood temperatures down. 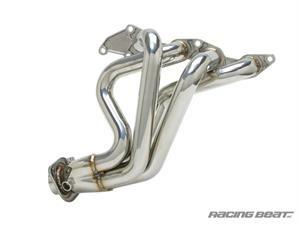 This Racing Beat muffler for the 2006-2015 MX5 is made from 304-stainless steel and features dual 3.5" OD tips. It is "cat-back" emissions legal and meets all California sound level requirements. 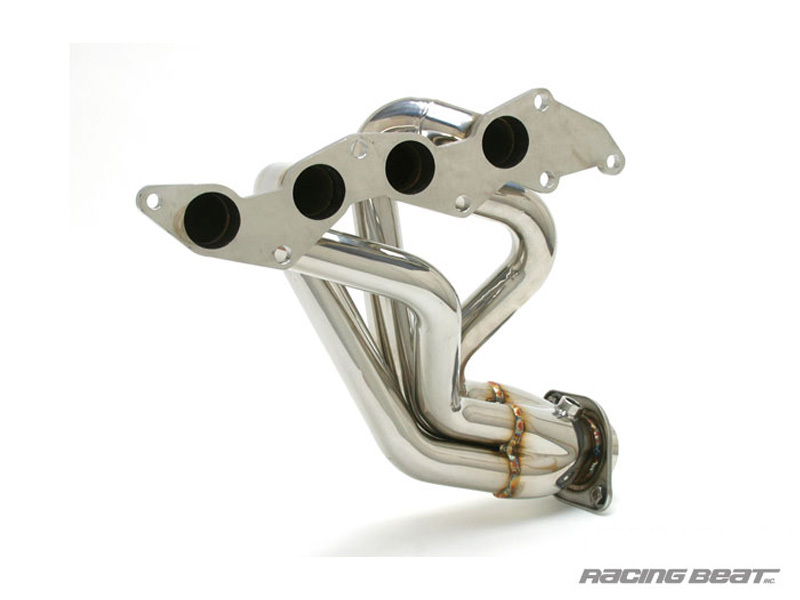 The Racing Beat Race Connecting Pipe is intended to replace the stock mid-pipe on the MX-5, thereby eliminating the integrated secondary catalytic converter and presilencer unit. Expect an aggressive tone, with a definite increase in sound. The famous RoadsterSport Q is even more successful at controlling sound for customers making modifications such as high-flow headers and superchargers. This is also a great choice for customers with automatic transmissions, and or the PRHT hardtop. This exhaust remains popular as a LOUDER duals choice, great for soft top owners who like to wind out their manual transmissions to redline. The RoadsterSport exhausts are the only choice that incorporate baffle inserts that allow you to adjust the sound. Bolt-on replacement for the factory midpipe to carry the 2.5 inch outlet of the factory header, and the RoadsterSport and Racing Beat headers, all the way to any of our 2.5 inch inlet mufflers. This MX5 Miata Muffler was designed for both RACING...and STREET or the serious sports car enthusiast. Weighs just 12 lbs, 15 lbs less than the stock muffler. This MX5 Miata Muffler was designed for RACING. 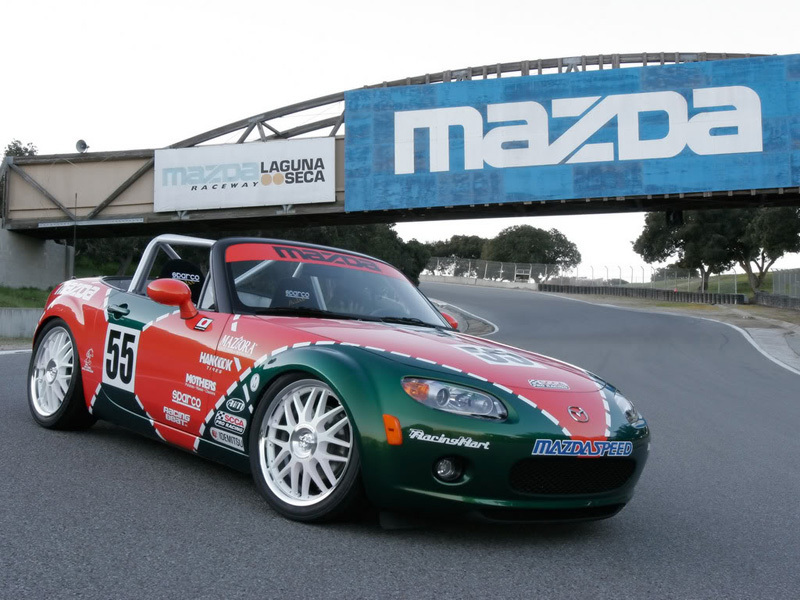 Ideal for for the autocross and track MX5 Miata drivers. Weighs just 7 lbs, 19 lbs less than the stock muffler! Allows for the repositioning of the secondary oxygen sensor to an area behind the catalytic converter located in the mid-pipe unit of the MX-5. Once repositioned, this configuration will prevent an error code from being triggered.